Eagle Idaho was incorporated in 1977 and the majority of Eagle Idaho homes for sale were built after 1984. New home construction accounts for nearly 40% of available residential homes for sale. Homes come in 3 bedroom, 4 bedroom, 5 bedroom and 6 bedroom options. Some homes even offer golf course or Boise River views. Horse properties, ranches and estates are also available for sale in Eagle Idaho. Properties are often equipped with gas fireplaces, hardwood floors, and granite countertops. About 20% of homes for sale in Eagle Idaho are priced under $300,000, while the majority of home prices range from $300,000 to $600,000. 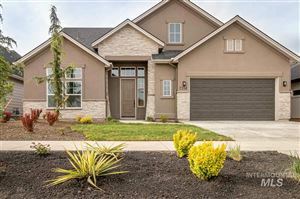 Many of the homes for sale in Eagle Idaho offer large scale floor plans, with homes ranging from 1500 square feet to over 5,000 square feet. 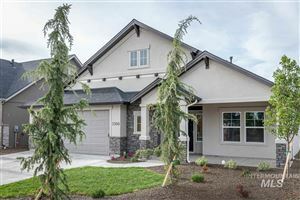 Eagle Idaho real estate homeowners enjoy a variety of fantastic amenities. One of the best features is the impressive Eagle Sports Complex. This public park features a variety of outdoor recreation options including miles of mountain biking and hiking trails. Eagle Island State Park is another great resource, featuring an 18-hole Frisbee golf course, children’s water slide, swimming ponds with a beautiful beach area, and a zip-line coming soon! There are also miles of horseback trails along the Boise River, making Eagle Island State Park one of the most diverse recreation settings for Eagle Idaho visitors to enjoy! But that’s not all Eagle Idaho real estate owners have to look forward to: Eagle Idaho is literally the gateway to the Idaho mountains and abundant outdoor recreation, with Highway 55 leading north to the Boise and Payette National Forests, and Highway 44 leading west to the Snake River basin and the Hells Canyon Recreation areas. In addition to great golf courses like Eagle Hills Golf Course, and scenic public parks, there are other outdoor recreation options near Eagle Idaho homes for sale. Walking trails connect communities to downtown Eagle, and there are many fishing spots along the Boise River. The Boise Greenbelt, over 25 miles of pathways, connects Eagle Idaho to downtown Boise. Eagle Idaho is home to some of the most eclectic shopping, including a seasonal weekly Farmer’s Market in the Eagle downtown pavilion. Enjoy local craft, music and organic vegetable from Eagle farmers like the Peaceful Belly. Grab a bite to eat at the Bodacious Pig Barbeque in downtown Eagle or treat your family to some of the best Italian food in the area at Belle Aquila, situated romantically along the Boise River. If you’re planning a picnic on the Boise River or at the Stephen C. Guerber Park, stock up on fresh deli sandwiches and salads made daily from the Porterhouse Market, located just steps from the Boise River in Eagle Idaho. Children living in Eagle Idaho enjoy some of the best schools West Ada County School District has to offer, including well endowed public schools like top ranked Eagle High School. Public charter schools, like Idaho Fine Arts Academy, allow students to hone their skills in a specific course of study, while taking advantage of smaller classroom sizes. Lexington Hills subdivision, off Floating Feather Road, is home to Seven Oaks Elementary School where many parents meet their children daily for the short walk home to the neighboring communities of Echohawk Estates and Red Leaf Heights. Eagle Idaho is a great place to raise children and put down roots. Eagle Idaho provides an amazing urban lifestyle with a small town feel, where abundant outdoor recreation opportunities exist alongside charm and convenience.